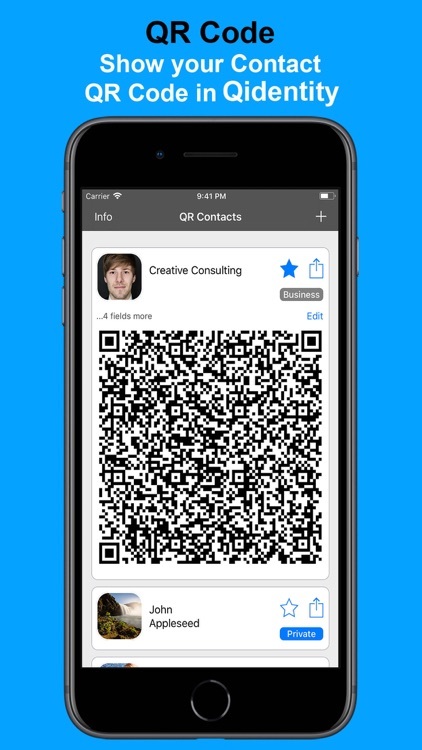 Just share your contact data with Siri in a visual QR Code with other Smartphones. 3. 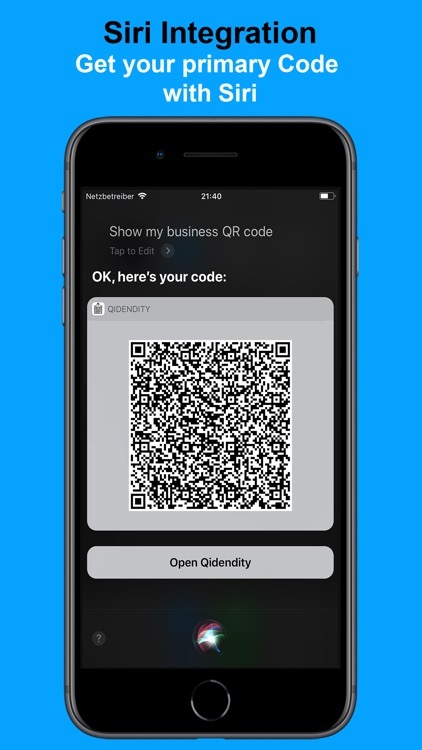 Show QR Code with Siri command, in iOS Today Widget or directly in the app. 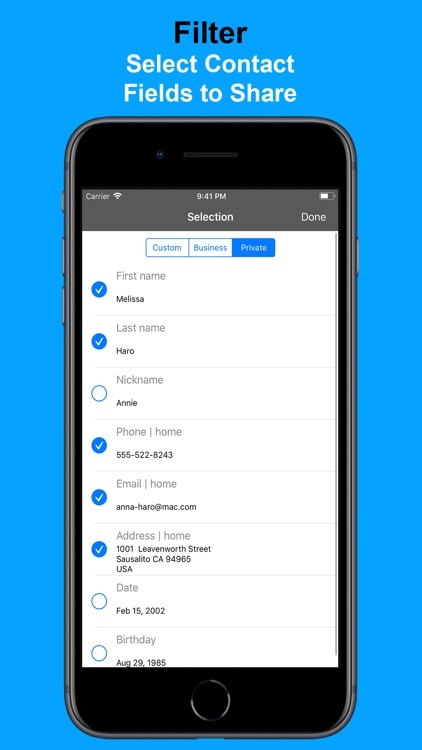 Share user-specified contact fields from a contact easily! 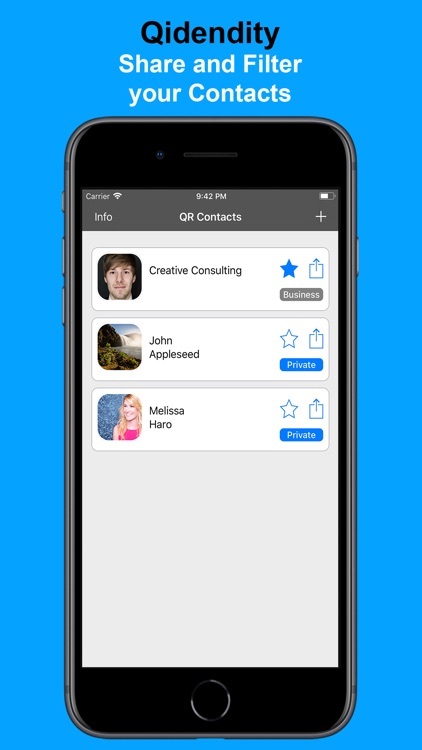 Just choose desired fields of a contact and save your privacy. 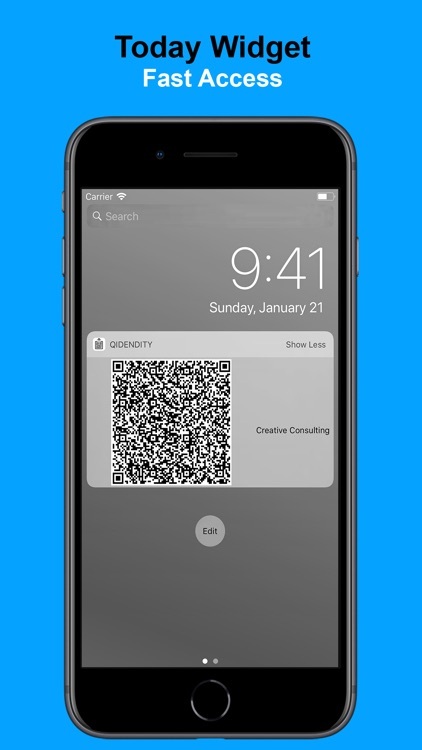 Business meetings, meet friends or a in a bar. 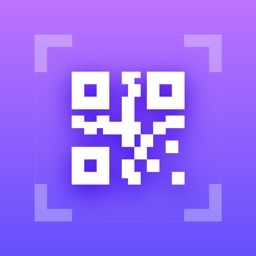 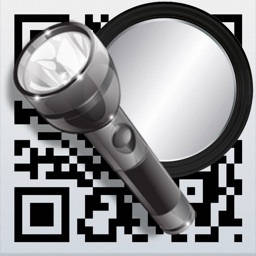 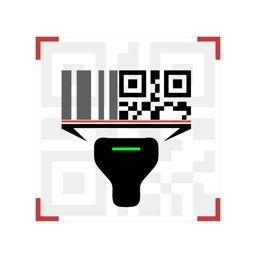 Just share you contact as a QR code with other smartphones. 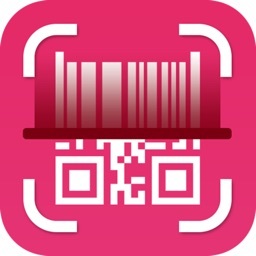 Just use the standard camera and scan the QR code (iOS 11 has this as standard). 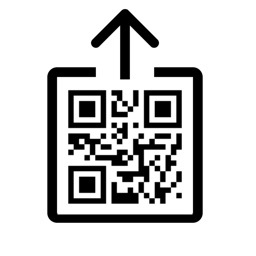 • "Hey Siri, show my QR Code"
• "Hey Siri, what is my personal QR Code?"